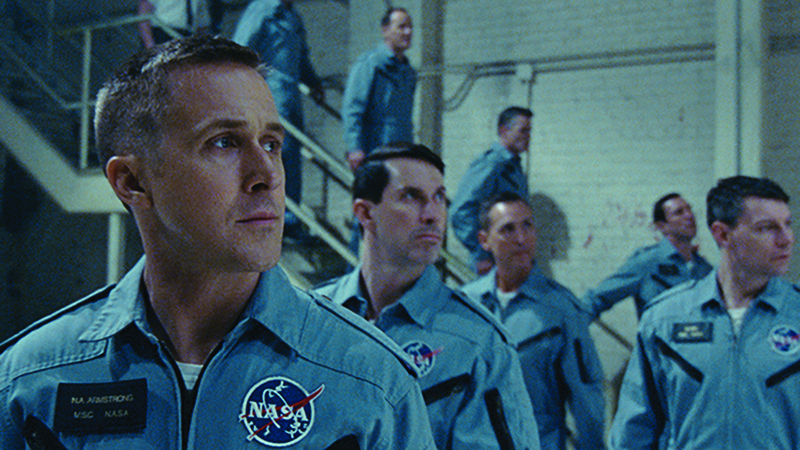 ‘First Man’ starring Ryan Gosling is set to open in theaters nationwide Friday. The movie is adapted from a book of the same name written by retired Auburn University Professor of History Dr. James Hansen. Published in 2005, Hansen’s book received a strong reception for its historical content and being Armstrong’s first-ever biography. Hundreds of hours interviewing Armstrong, as well as his family, friends and colleagues, went into his efforts of compiling a story that is so deeply woven into the fabric of America. Universal Pictures purchased the film rights to the book in 2007. After years of searching for the right visionary, Academy Award winning filmmaker Damian Chazelle was chosen to transform the story into a Hollywood masterpiece. As the film’s co-producer, Hansen worked closely with screenwriter Josh Singer throughout the screenwriting process, an experienced he described last week in a Q&A session following a private screening that was arranged for Auburn University students. While filming, Hansen added that Chazelle took painstaking efforts to create an experience for viewers that felt authentic and believable. Chazelle and his team’s work paid off, as the film has received an abundance of rave reviews from movie critics and groups worldwide. “‘First Man’” is so immersive in its glitchy, hurtling, melting-metal authenticity that it makes a space drama like ‘Apollo 13’ look like a puppet show,” Owen Gleiberman wrote in a review for Variety Magazine. “Astonishing. The definitive take on a monumental moment in history – without ever losing sight of the man underneath the visor,” reads an excerpt from an article by Empire Online writer Josh Nugent. The film is also trending well with audience-based movie-scoring sites, with scores of 89 and 83 percent favorability ratings on Rotten Tomatoes and Metacritic, respectively. Check with local theaters for availability and showtimes.